Nate Miller's Tabletop Games: 6 Month Challenge: Ghost Legion Pirates! Well I finally finished the first few squads of my Ghost Legion pirate crew for the Solar Empires setting. 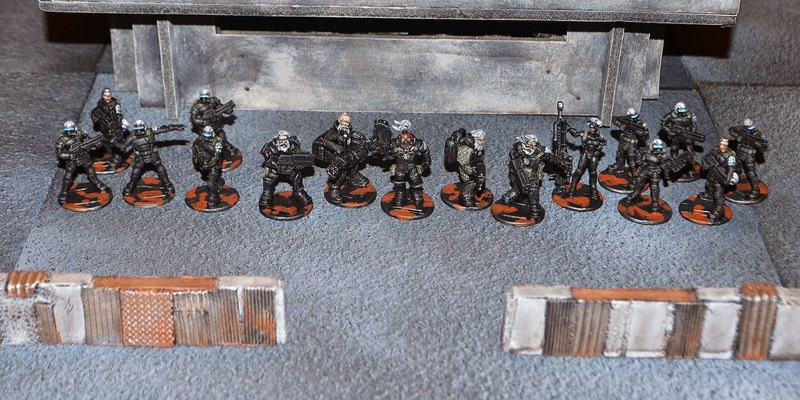 These are all Reaper IMEF and NOVA troopers because this pirate force split off from the Star Guard mercenary company. I like the simple basing scheme, it works well. What figs are these? Those are Reaper NOVA troopers and IMEF troopers from the Chronoscope line The IMEF troopers have head swaps.